Good Friday in Germany - home to over 5 million Muslims - is a so-called "silent holiday" protected under Germany's Basic Law. While regulations differ across Germany's 16 states according to regional laws, in North Rhine-Westphalia (NRW) - from 6 p.m. Thursday to 6 a.m. Saturday - "all nonpublic, entertaining events outside of apartments" are banned. Germany’s ban extends to a whole host of other activities, from sports events, moving home and washing cars to Islamic circumcision parties. 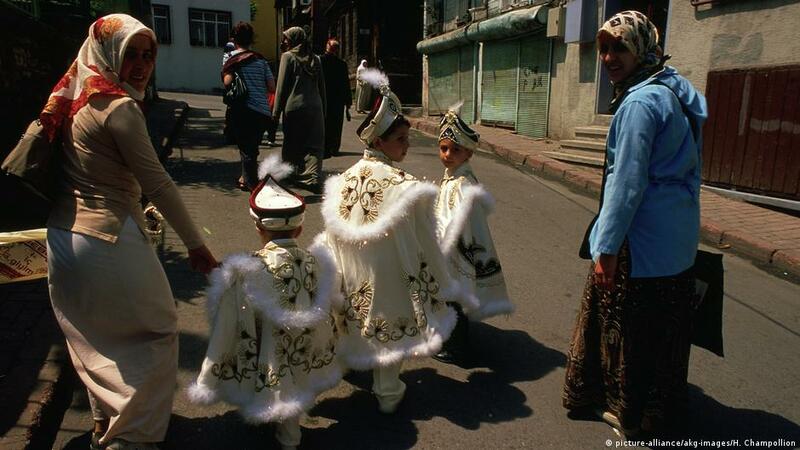 It is customary, for Turks in particular, to celebrate the circumcision of their sons with elaborate, loud parties. Circumcision parties have even gone to court in Germany. Last week, NRW's top administrative court upheld lower court decisions, ruling that "regardless of religious references, the celebrations would certainly have entertaining character and thus contradict the serious character and special nature of Good Friday." Circumcision is an important religious event for Muslims," event salon owner Mehmet Dogan told DW, who is involved in a circumcision party case that has gone to court. "I don't find it right that in Germany, the heart of advanced democracy, Christian holy days take precedence over Muslim, Jewish or other religious beliefs or practices," Dogan said. A considerable number of people in Germany hold that the "Tanzverbot" - the dancing ban - is unconstitutional. A YouGov poll last year found 38 percent of Germans want Good Friday restrictions lifted, while 52 percent said they should remain in place. Cihan Sinanoglu, a spokesperson for the Turkish Community in Germany, an umbrella interest group, told DW that a big issue shouldn't be made out of the Good Friday circumcision party case. "I would find it better if religion actually plays no role, if the state was neutral on religion. But it is clear that there are certain traditions here and the state has an interest in maintaining these traditions," he said. While Germany and Turkey tackle larger debates, this issue of circumcision parties opens the door to a discussion on Islam and the rise of right-wing populist parties like the Alternative for Germany (AfD). Germany's Good Friday laws on noise and festivities are controversial. The laws' reach into Muslim circumcision parties raises questions about separation of church and state that could end up in Germany's top court.